KLM Open leader Chris Wood discusses his recent swing changes and looks ahead to the final round. Chris Wood fired a six-under 65 to take a one-shot lead into the final round of the KLM Open, as Jonathan Thomson stayed in contention. Wood birdied the par-five last to get to 13 under and edge ahead of Thomson, overnight leader Ashun Wu and Hideto Tanihara - who posted a joint-low round-of-the-day 63. Richard McEvoy sits two strokes off the pace after a seven-under 64, with Padraig Harrington a further shot back and tied sixth alongside Scotland's David Drysdale. "I'm pleasantly surprised," Wood told Sky Sports. "My target was 15 under for the tournament so I'm going to look a little bit differently at that now. I'll take another 65 tomorrow if you offer it me now." Wood went into the weekend five off the pace and slipped further behind with a bogey at the second, only to hole a close-range birdie at the sixth and convert from eight feet at the next. Reaching the turn in 34, Wood drained a 15-footer at the tenth and followed back-to-back gains from the 12th by picking up shots at the 15th and 18th to top the leaderboard. Thomson made a blistering start with four birdies in his first six holes, only to lose ground with bogeys on the tenth and 13th on his way to a three-under 68. Tanihara equalled the lowest round of the week to get to 12 under, while overnight leader Wu needed two birdies in his last five holes to stay within a shot of the lead. 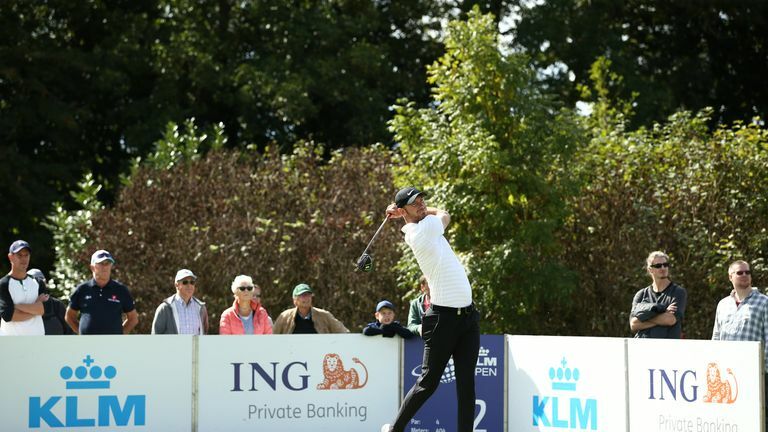 Watch the final round of the KLM Open live on Sunday from midday via the red button Sky Sports Golf, before switching to the main channel after the conclusion of the Evian Championship.